of the places I visit." 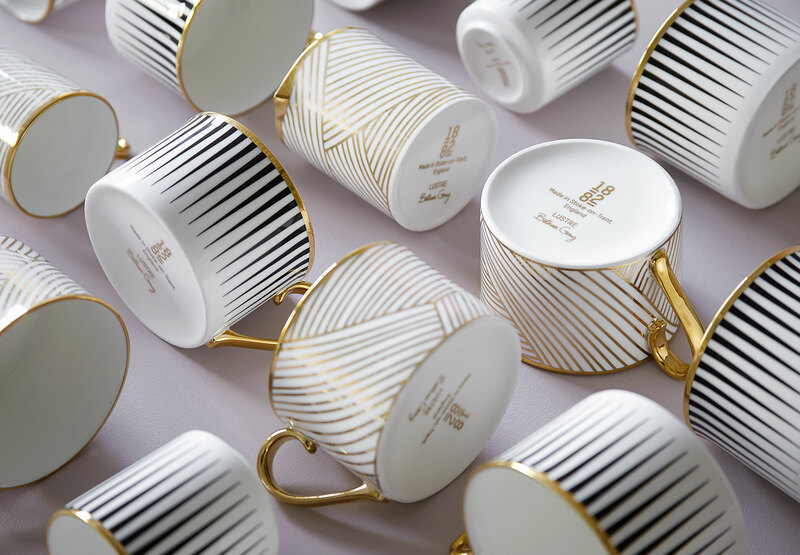 London-based Bethan Gray is one of our most celebrated furniture and homeware designers, having been awarded four Elle Decoration British Design Awards including the coveted Best British Designer and The Best British Tableware Designer. Bethan Gray has an extraordinary background: born to a Scottish father and Welsh mother, her maternal family descends from a nomadic Rajasthani clan that migrated across Arabia and Persia over centuries. Inspired by her heritage and fuelled by a deep-seated curiosity about global art and culture, Bethan has travelled to India, Asia, the Middle East, Northern Africa and South America. Working within equal partnerships built on mutual trust and respect is at the heart of Bethan Gray’s creative practice. 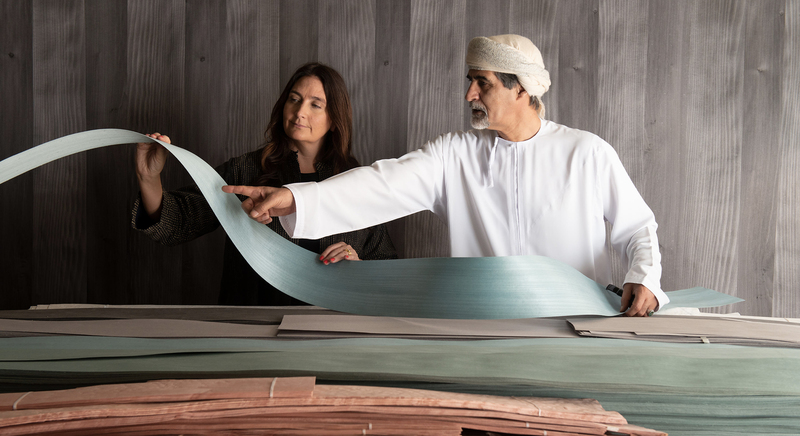 By collaborating with master craftspeople and bringing contemporary relevance to their work, she is able to connect them to new commercial markets all over the world, celebrating and preserving their skills in her furniture and home accessories. Within her own practice in London, she nurtures, connects and encourages new design talent and mentors upcoming female designers. She has recently launched a Prize for Women in Craft with Cardiff Metropolitan University where she is an honorary fellow. Bethan’s design process always begins with a story. 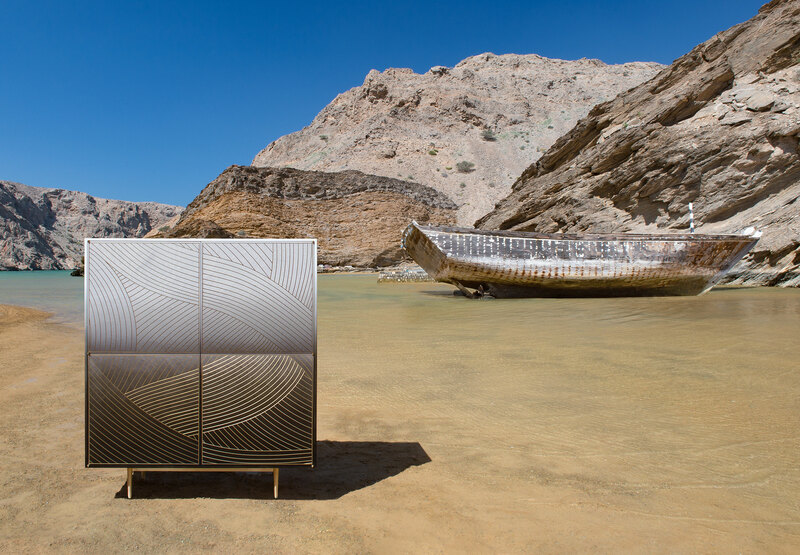 Whether it is the sails of Oman’s distinctive Dhow boats, the rounded castellations of the Nizwa Fort, a 12th-century Italian cathedral or the three-legged Welsh cricket tables of her childhood. These stories are distinctive parts of the cultures to which they belong – and often in danger of being forgotten. By capturing their essence in collaboration with local artisans using traditional craft skills, Bethan is able to tell stories through craft, deftly preserving and translating cultural narratives, materials and aesthetics in a way that resonates with both the people to whom they belong and audiences across the globe. Bethan Gray’s work is characterised by bold, confident patterns inspired by the shapes she sees all around her from the growth spirals of shells to the sacred geometry seen in architecture all over the world. Her patterns are drawn by hand to capture their natural imperfections and then meticulously executed using ancient craft skills. 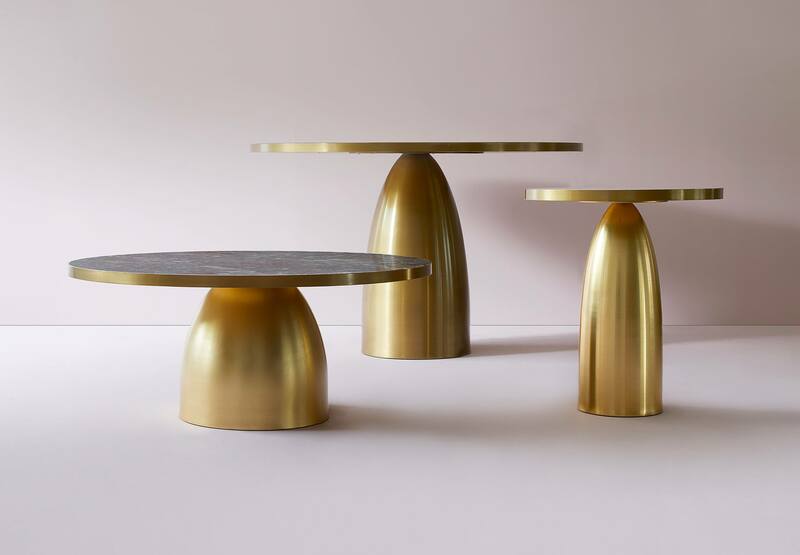 Known for pushing the boundaries of craft techniques, Bethan Gray has the technical expertise to deftly combine materials as diverse as marble, birds-eye maple, leather and brass need some refining, resulting in products and spaces that are tactile and engaging. Bethan’s colour palette is inspired by her love of travel, photography and culture and informed by the natural materials she works with. References such as the ombré effect caused by sunlight falling across the castellations of the Nizwa fort, paired with an innate talent for creating combinations that work, has resulted in a distinctive colour palette that represents a contemporary take on femininity that is warm and welcoming. Combining their talents, creative director Bethan Gray and husband and CEO Massimo established Bethan Gray Design in 2008. A decade as Habitat’s design director provided Bethan with extensive experience collaborating with craftspeople all over the world as well as a thorough grounding in the commercial workings of the industry. An honorary Fellowship of Cardiff Metropolitan University recently recognised her contribution to craft and design – one that is characterised by empathy, originality and instinctive talent. Massimo’s entrepreneurial upbringing, a previous career in finance and an MBA from the SDA Bocconi School of Management, combined with his training as a registered life planner under George Kinder, provides the long-term vision to realise the creative potential of the studio. In the ten years since establishing the studio, Bethan and Massimo have built meaningful partnerships supporting over 400 craftspeople worldwide, always developing deep relationships based on mutual trust that help to achieve the ambitions of all parties – in fact, as well as sitting on the boards of some of the world’s leading design studios, Massimo works closely with each of the studio’s partners to help them to develop and realise their visions. In partnership with local artisans, Bethan tells cultural stories through craft and design, creating best-selling collections of luxury furniture and homeware that are at once decorative and highly original, while remaining comfortable and functional. Bethan Gray Design also works with global design brands such as The Glenlivet, Anthropologie and Rado creating immersive experiences as well as physical products to help them tell their own stories. Bethan’s empathetic approach combined with Massimo’s strategic vision results in unique narratives communicated through craft. 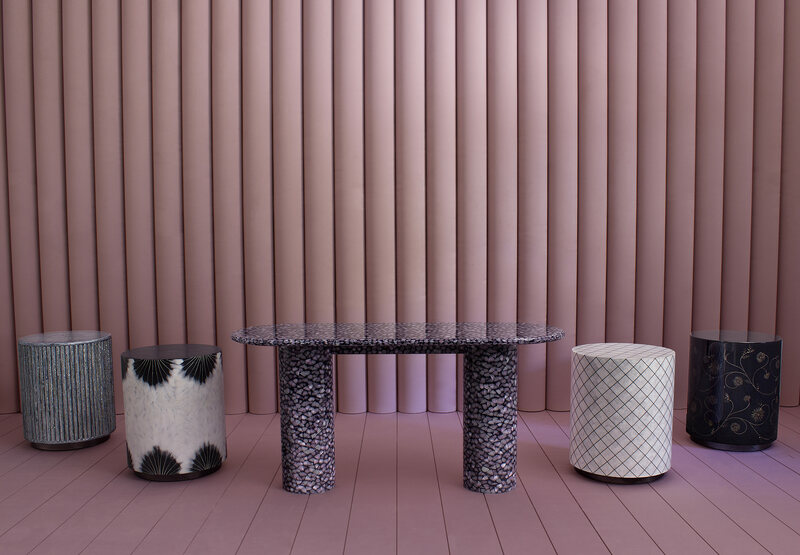 Bethan Gray Design’s collections are distributed by global retailers such as Lane Crawford, EJ Victor, Living Edge, The Odd Piece, Liberty and Harrods. The studio’s work features extensively in global media; has been recognised with four Elle Decoration British Design Awards; and is regularly exhibited in London, Milan, Paris, Dubai and throughout the United States.